Would you prefer to avoid monthly rental income and expense management? Would you rather someone else deal with maintenance calls? If you answered yes to either of these questions, then hiring a property management company is the right choice for you. A competent property management company can add significant value to your investment, which is why many seasoned real estate investors will tell you that a good management company is worth their weight in gold. A good property manager is armed with the knowledge of the latest landlord-tenant laws. Avoiding a single law suit can more than pay for the property management fees, and spare you time and anguish. By hiring a management firm, you gain access to both their in-house maintenance staff, as well as their network of licensed, bonded and insured contractors who have already been vetted for good pricing and quality work. The management firm can offer you suggestions and feedback on upgrades and modifications, both how they will affect the rent you can charge, as well as their impact on maintenance and insurance. Additionally, the property management fees themselves are also tax deductible. 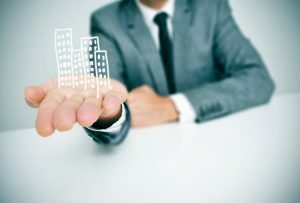 In conclusion this isn’t intended to be a comprehensive list of property management advantages, but it should give you a fair idea of the scope of a property management company’s services. Take your time, figure out what’s best for you. In the end your property management company will make critical decisions on your behalf you must take your time, research and remain vigilant during the hiring process. To learn more about what we have to offer please email us at info@lamacchiapm.com. To learn more about LPM, fill out your info below.